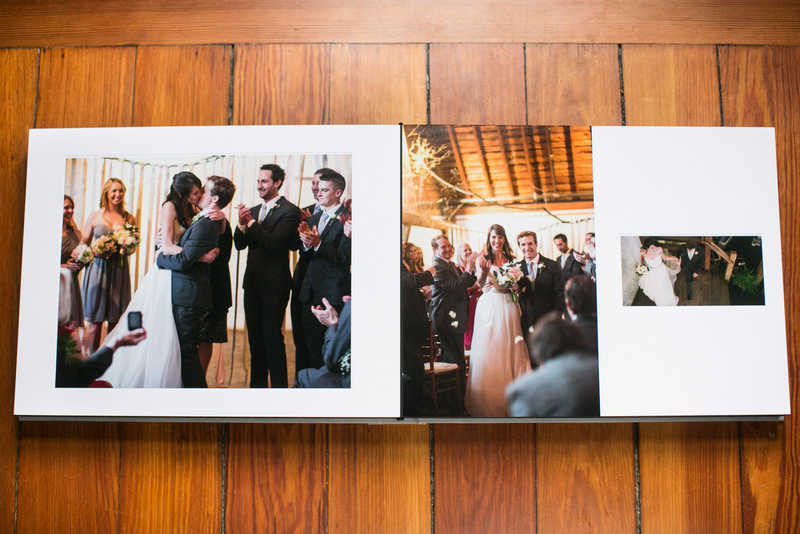 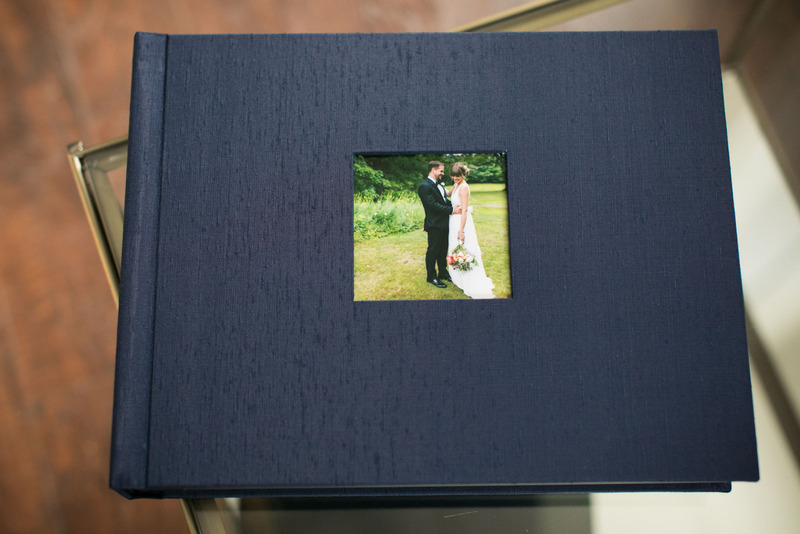 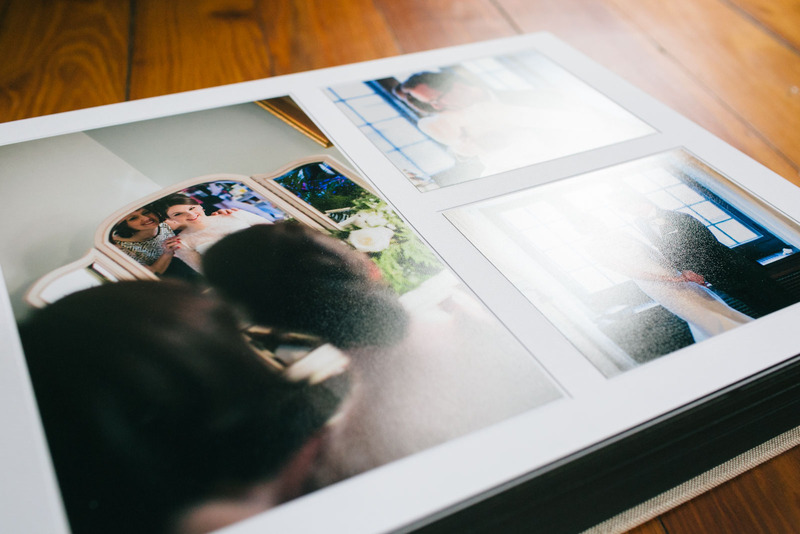 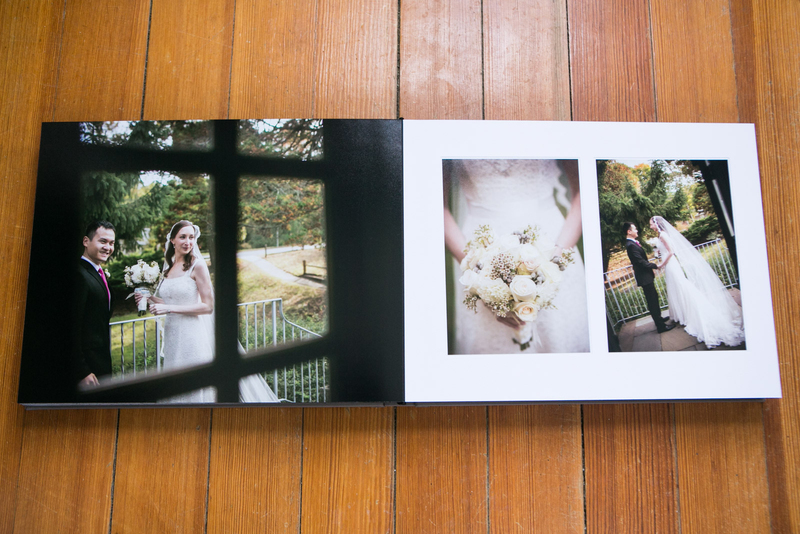 he Galleria Album is a traditional, matted style wedding album featuring permanently bound, archival-quality pages which are unbendable. 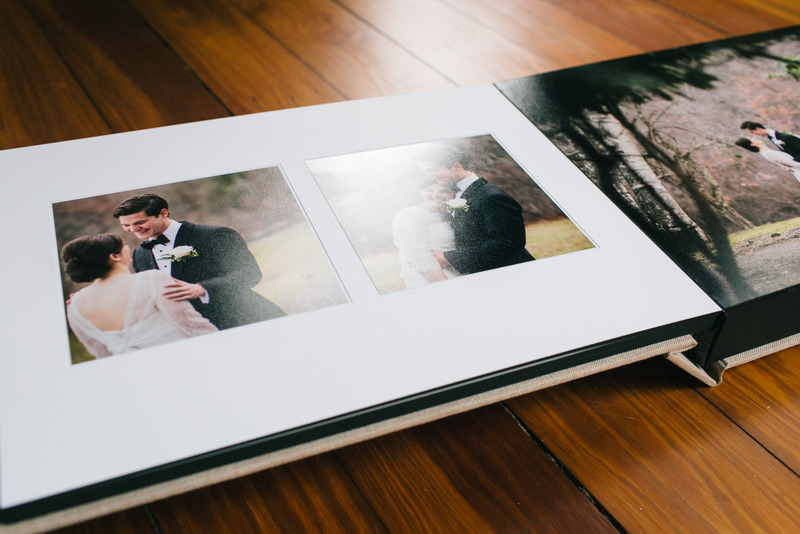 Each page can display either single or multiple images, which sit recessed into the page surface, surrounded on all sides by a thick paper matte. 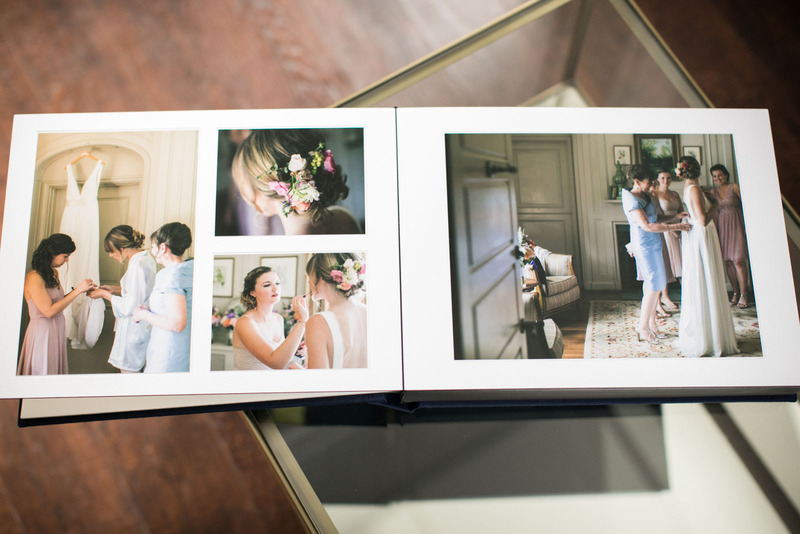 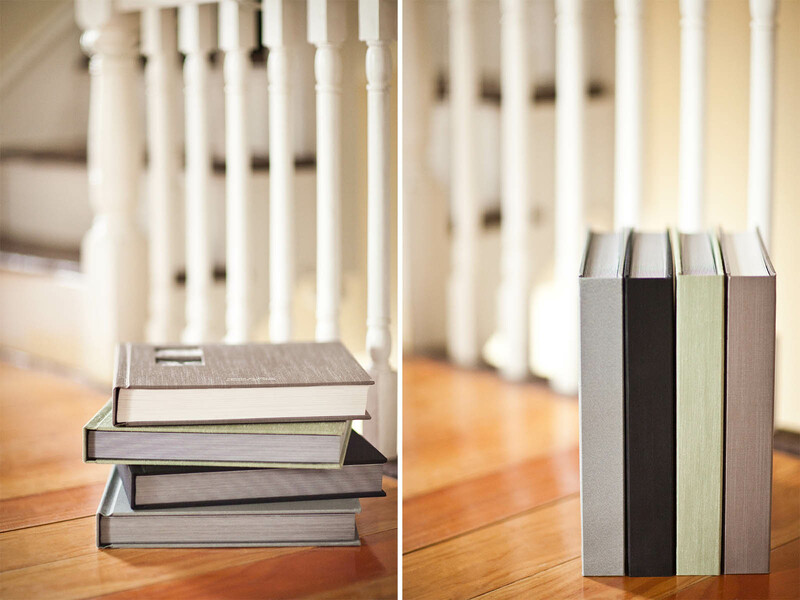 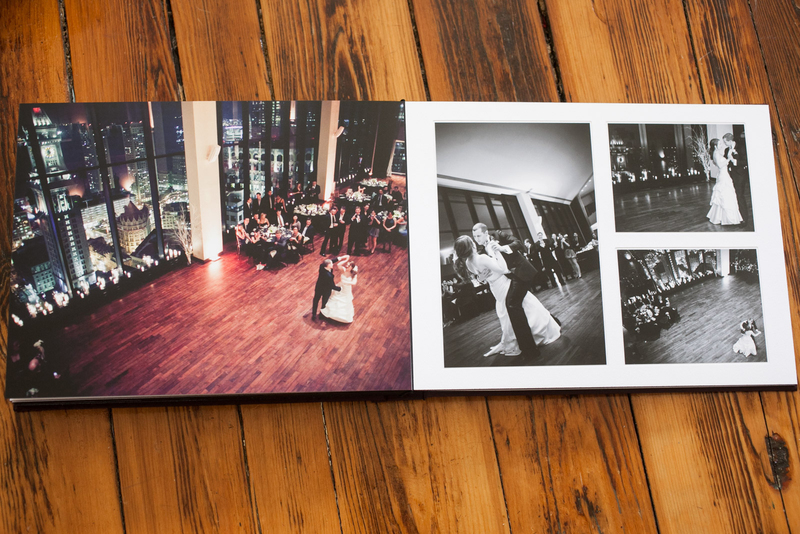 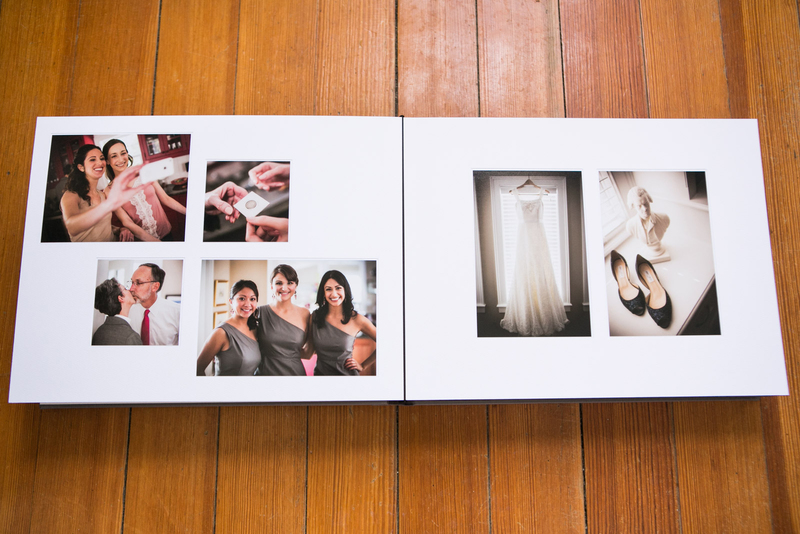 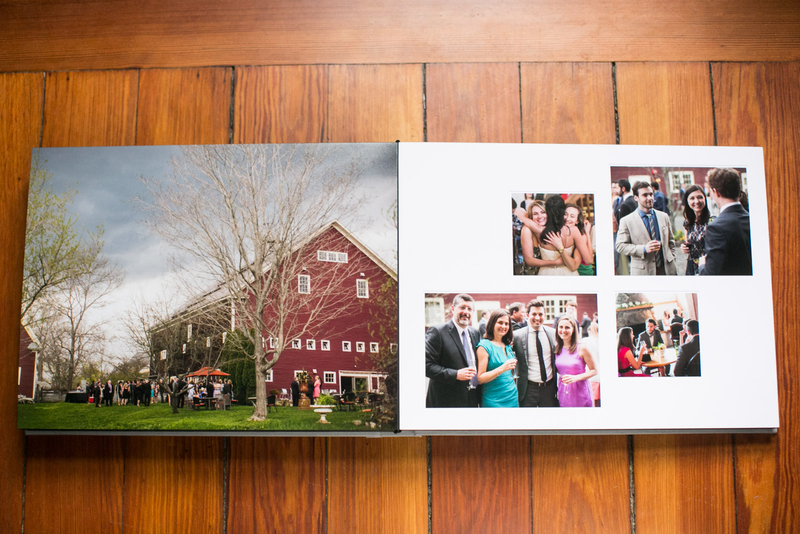 The Galleria Album has the added capability of incorporating several flush-mount style pages. 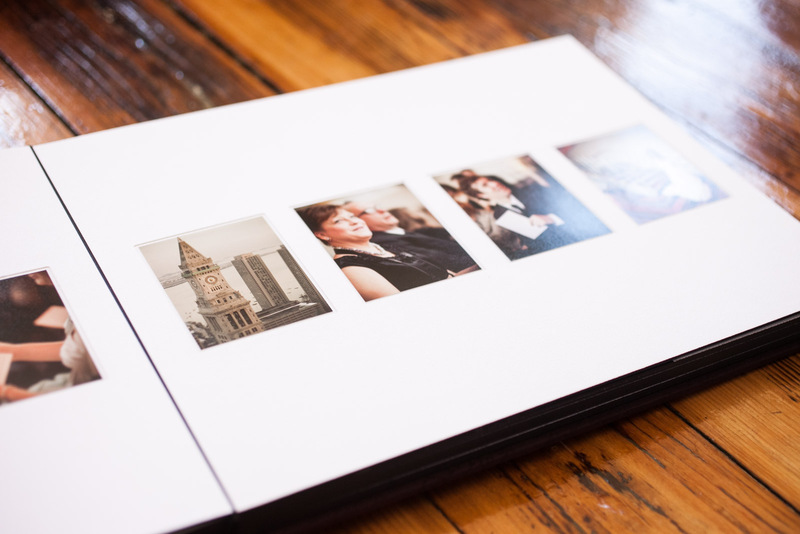 This allows certain images to be displayed larger, spanning to the edge of the page without the surrounding paper matte. 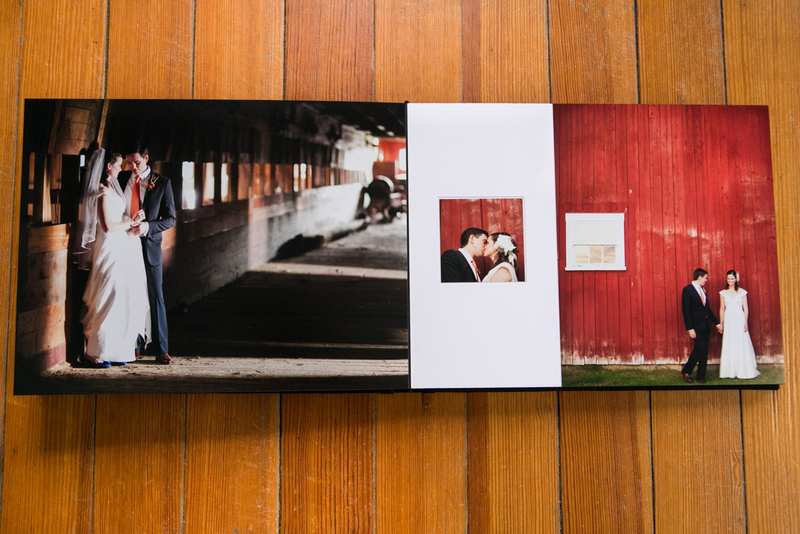 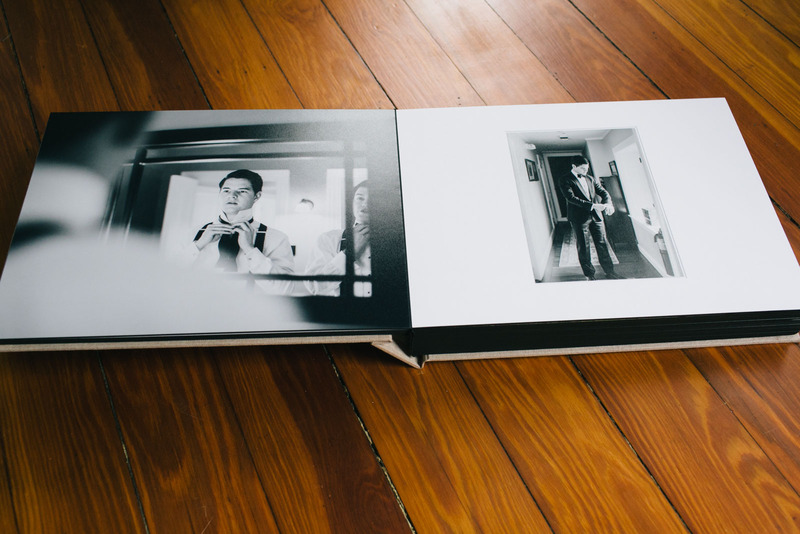 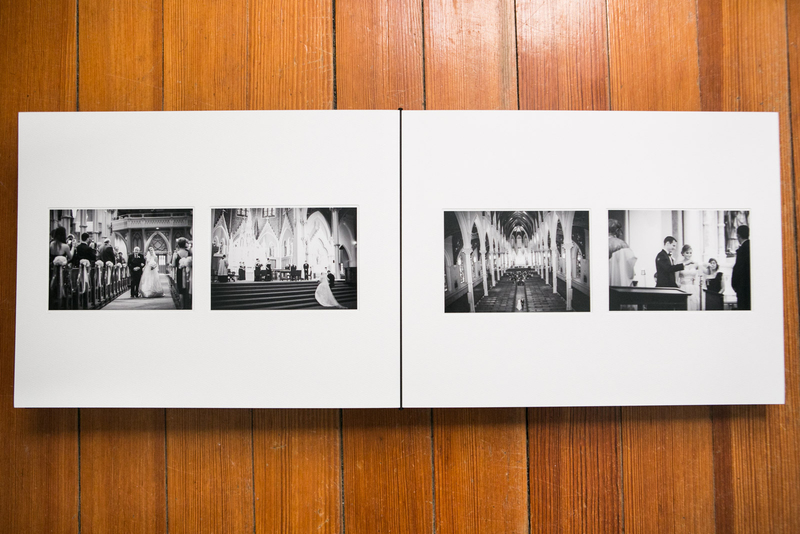 The Galleria Album is available in either square or landscape formats. 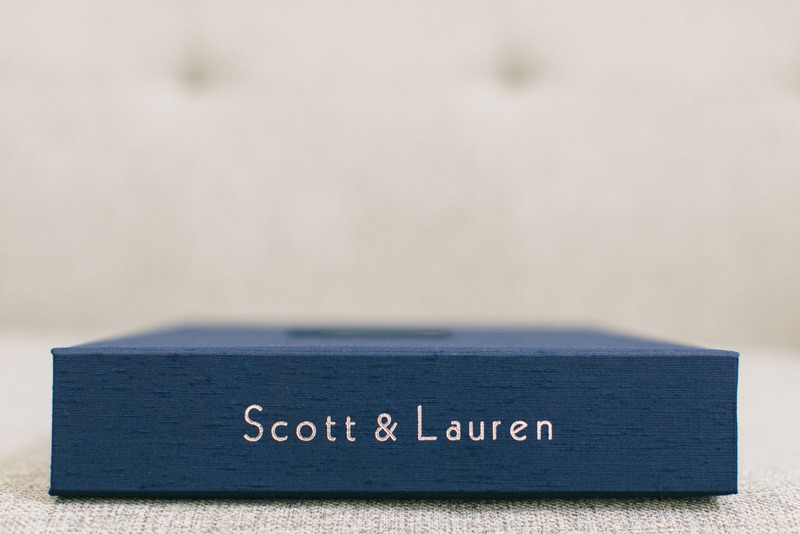 Cover materials include a wide variety of silks, linens, top-grain leathers, metals and animal-friendly leather alternatives. 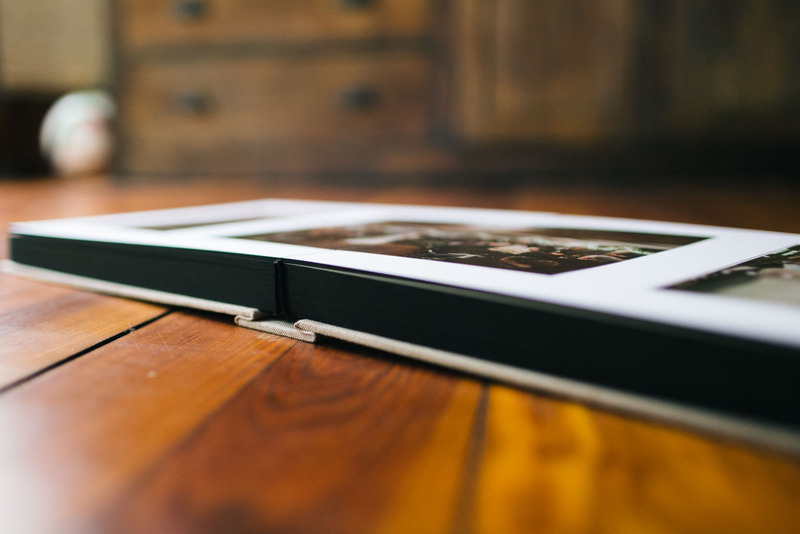 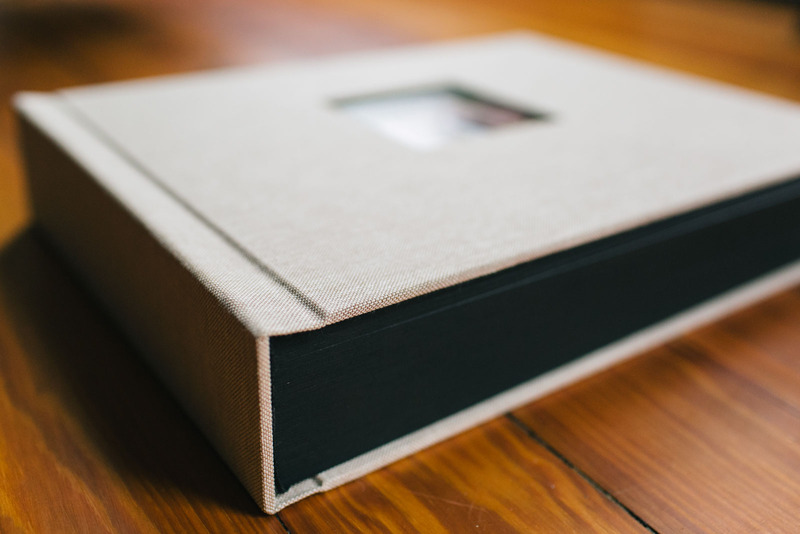 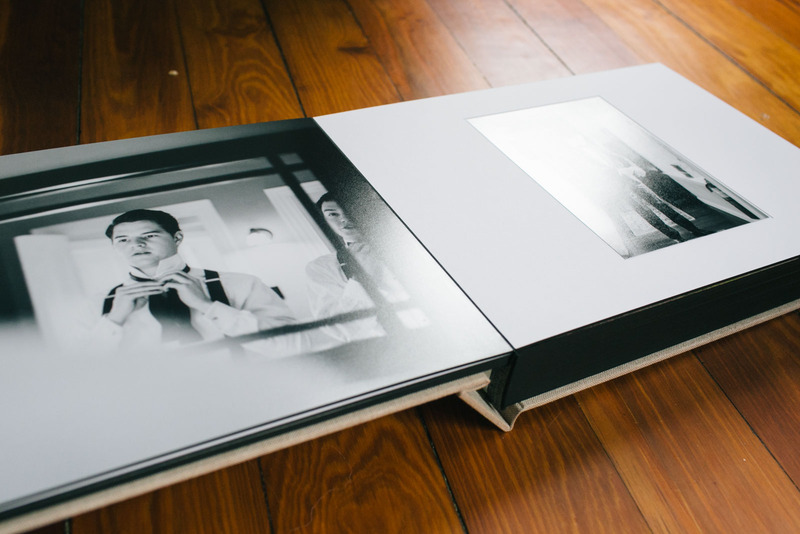 Duplicate Gift Albums are also available, giving clients the option to print additional copies for family or close friends.